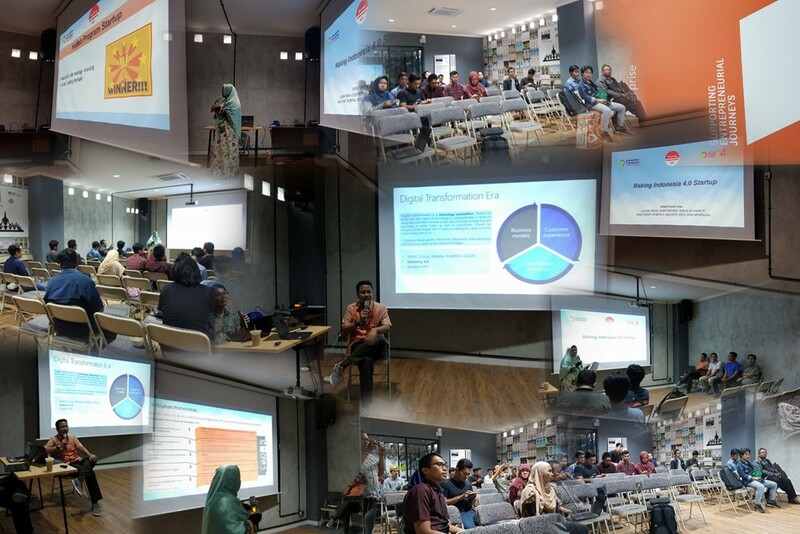 Yesterday (10 November 2018), I talked about industry 4.0 in Making Indonesia startup 4.0. As a jargon, industry 4.0 become effective to escalate a digital transformation into society. On this session I am in a one stage with Erick Kurniawan. We discussed about what Industry 4.0 in startup point of views, what is the pillar of Industry 4.0, what we need to prepare industry 4.0 in the startup mindset, and how cloud will help to lower down the struggle in scalability and infrastructure investment, In this session, I showed some of Microsoft Flow to automate the tasks in Office Productivity, How to eliminate the struggle in updating our production website when you need to upgrade, scale up, or scale out, the last demo I showed about how to use Azure Cognitive service to create a bot that can compare your need and understand the sentiment of a product in a society. The event is attended by +21 participants.